Labeling advocates in Colorado are hoping to get an initiative on the 2014 ballot that would require the labeling of genetically engineered foods. In the past month or so, governors in Connecticut and Maine signed GMO labeling bills into law. Other Northeastern states are required to have similar laws on the books, though, for these rules to go into effect. In early January, Sen. Jamilah Nasheed, a state senator from St. Louis, re-introduced a bill that would require labeling on genetically engineered meat or fish grown and sold in Missouri. 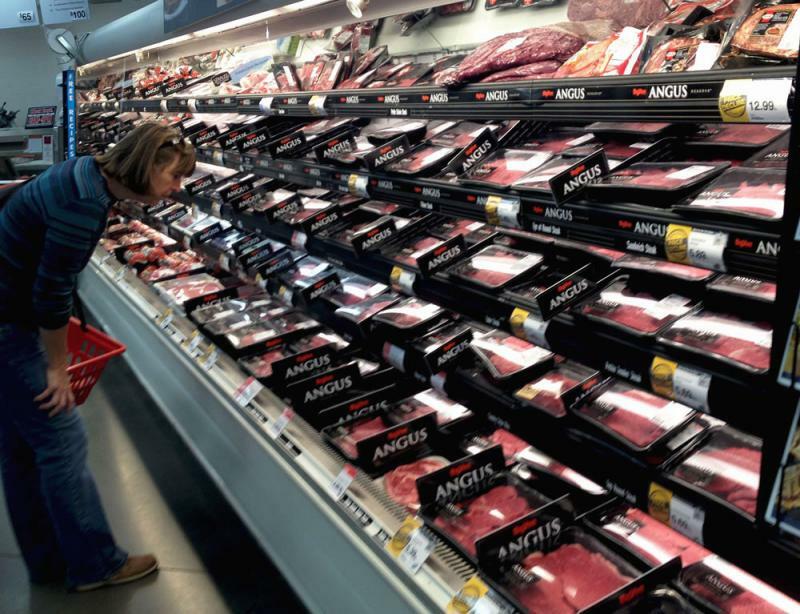 There’s currently no such meat or fish for human consumption on the market. Sen. Nasheed made waves last January when she first filed her GMO labeling bill under the name SB 155. But the bill did not make it out of the Agriculture, Food Production and Outdoor Resources committee while the state Senate was in session. SB 155, which Nasheed has re-filed as SB 533, could meet a similar fate this year in Missouri’s Republican-controlled Senate. 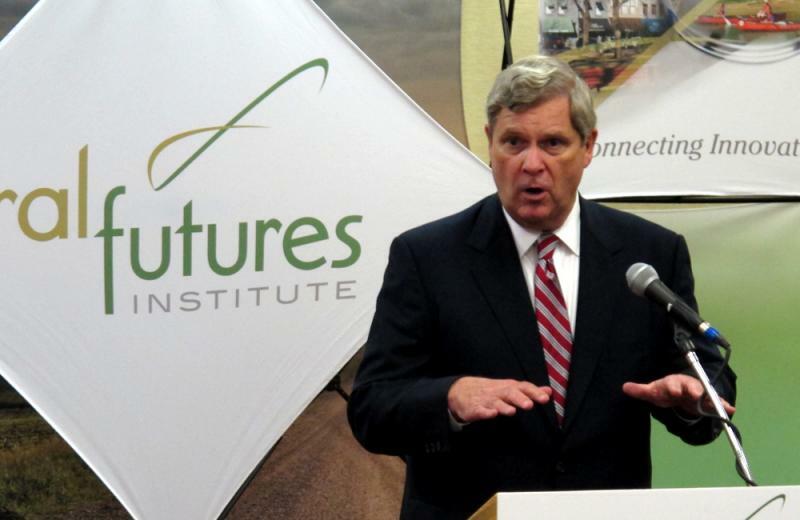 David Koehler, a state senator from Peoria, introduced SB 1666 last February, which would require any foods sold in Illinois that are “entirely or partially produced with genetic engineering” to be labeled. The bill picked up about a dozen sponsors last year and Koehler told the Peoria Journal Star this week that he planned to continue to work on getting the bill passed in 2014. "I'm dealing with this strictly as a consumer right-to-know bill," Koehler told the Journal Star. “I'm not saying ‘Yea’ or ‘Nay’ to the health risks. I'm saying, ‘Consumers have a right to know and they can make up their own mind.’"
The companion bill to SB 1666 in the Illinois state House is HB 3085, which was introduced by State Rep. Deborah Mell last spring. As our own Luke Runyon reported in December, labeling advocates in Colorado are hoping to get an initiative on the 2014 ballot that would require the labeling of genetically engineered foods beginning in January 2016. The group Right to Know Colorado still needs to get the labeling ballot measure proposal approved before it begins collecting 86,000 signatures to land the initiative on the ballot. Last year, state Rep. Jeanne Labuda introduced the GMO labeling bill HB 1192 only to have it die in committee. Now Labuda’s introduced another bill, HB 1058, that would create a voluntary GMO labeling program. Although labeling ballot measures were not successful in California in 2012 (Prop 37) or in Washington state in 2013 (Initiative 522), the votes were pretty darn close. State Sen. Joe Bolkcom introduced SF 194 in February 2013, which would have required labeling for all foods containing more than nine-tenths of 1 percent of genetically engineered ingredients. The bill died in committee during the session, though, and has not yet been re-introduced. 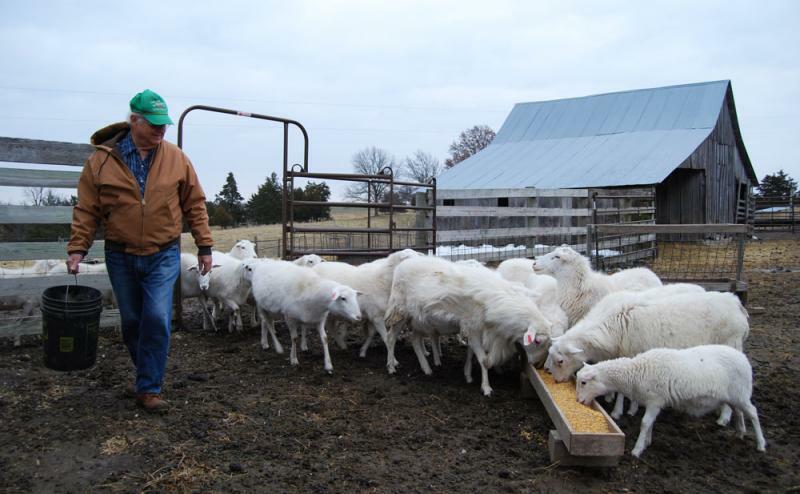 The Iowa Corn Growers Association, the Agribusiness Association of Iowa/Iowa Seed Association, the Iowa Biotechnology Association, Monsanto, DuPont, Kraft Foods and the Iowa Grocery Industry Association were among those that lobbied against the bill. There is also federal legislation that’s been introduced that would require the FDA to label genetically engineered foods. HR 1699 was introduced in April by Oregon Rep. Peter DeFazio, and now has 49 co-sponsors. California Sen. Barbara Boxer introduced the companion bill, S 809, which has 15 co-sponsors. Both bills are now in committee. 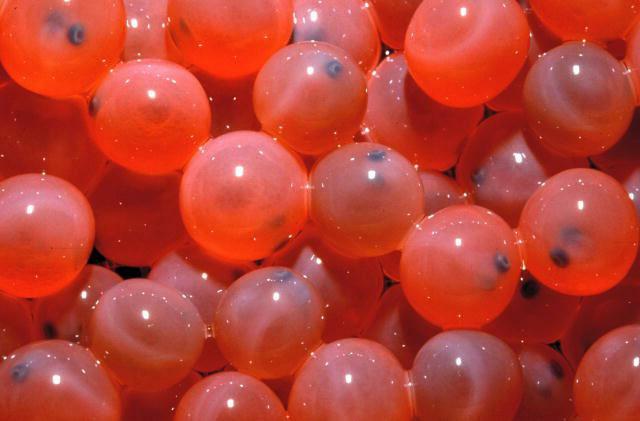 Debate on this legislation may heat up when FDA announces its verdict soon on whether or not to approve genetically engineered AquAdvantage salmon. 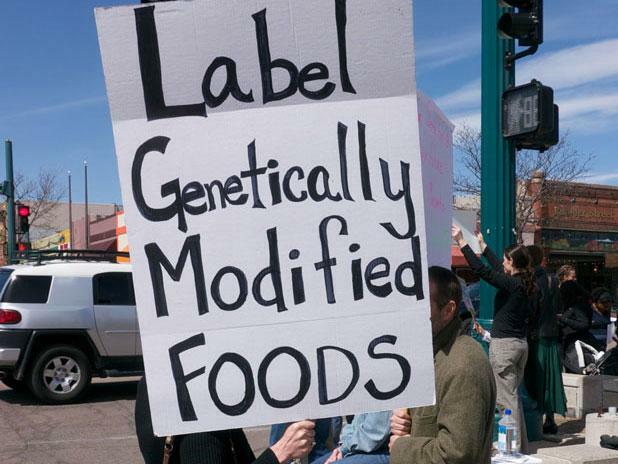 What do you think: Should labeling food that contains GMOs be mandatory? Let us know in the comments. Many farmers say they would like to grow genetically engineered wheat to help them feed a hungry world, but it’s not what everyone’s hungry for. And now, with the mysterious appearance of Roundup Ready wheat in a farmer’s field in Oregon a few weeks ago, consumer resistance may grow even stronger. Most of the corn and soybeans grown in the United States are genetically modified, but GMO wheat has never been approved for farming.